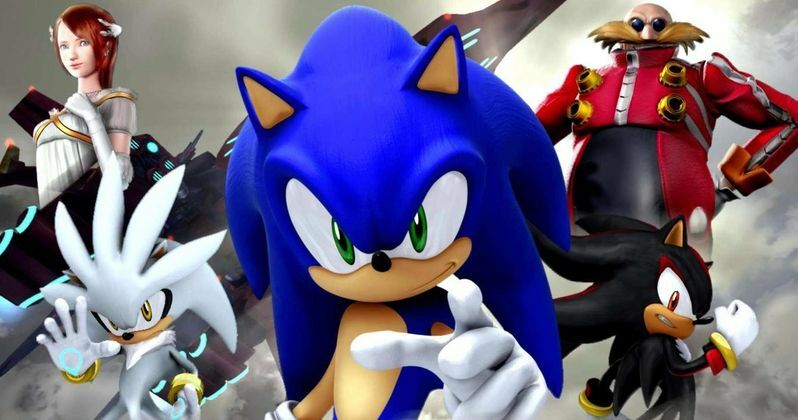 The first photo from the Sonic the Hedgehog movie has surfaced online and it's sure to make old school gamers very happy. Filming kicked off earlier this month on the movie adaptation of the classic Sega video game franchise. It's very much up in the air as to how this thing is going to turn out and Hollywood's track record will tell you not to get your hopes up too high. That said, this first photo is hard not to get a little happy about if you grew up with the Sonic games. The photo that began circulating online features no characters from the movie. Instead, it's a sign welcoming us to a town that will presumably be a major location in the Sonic the Hedgehog movie. The town is named Green Hill and, if you ever played the original 1991 Sonic game for the Sega Genesis, you're probably grinning from ear to ear right now. The first level of that game, which has been reimagined in several games since, was the Green Hill Zone, named for the green hills the blue hedgehog found himself navigating. It appears as though the creative team is trying to be cleverly faithful to the video games without being slavish about it. Sonic the Hedgehog doesn't inherently have a lot of story associated with it. A fast blue character runs through various levels collecting coins and defeating bad guys whilst avoiding traps. That's more or less it. The good news is, that will allow for a story to be crafted around the character. That could ultimately work in this movie's favor. Though, without a trailer or any looks at the blue guy, it's a bit early to get too optimistic. Deadpool director Tim Miller is one of the chief creative forces behind the movie but he's not in the director's chair. He's busy filming Terminator 6 as we speak. That honor belongs to Jeff Fowler, who is making his feature directorial debut. The movie will be a mix of CGI and live action. Beyond that, no plot details have been released. Originally, they were eyeing Paul Rudd as the human lead character. However, it was Westworld star James Marsden who landed the gig. Jim Carrey is also on board to play famed Sonic bad guy Doctor Robotnik, aka Eggman. It hasn't been announced yet who will be voicing Sonic. Then again, there's a chance he could be the silent hero type. There's also no word on whether or not we'll be seeing supporting characters such as Knuckles or Tails. Video game movies are tricky but Sonic is a beloved character and a franchise that has endured for nearly three decades. If they get this right, there's potential for a hit here. Paramount is set to release the Sonic the Hedgehog movie in theaters on November 15, 2019. Be sure to check out the first photo from the movie for yourself below.